Located in this popular residential area the property offered for sale will tick lots of boxes for a growing family offering flexible accommodation with potential for expansion should the need arise. 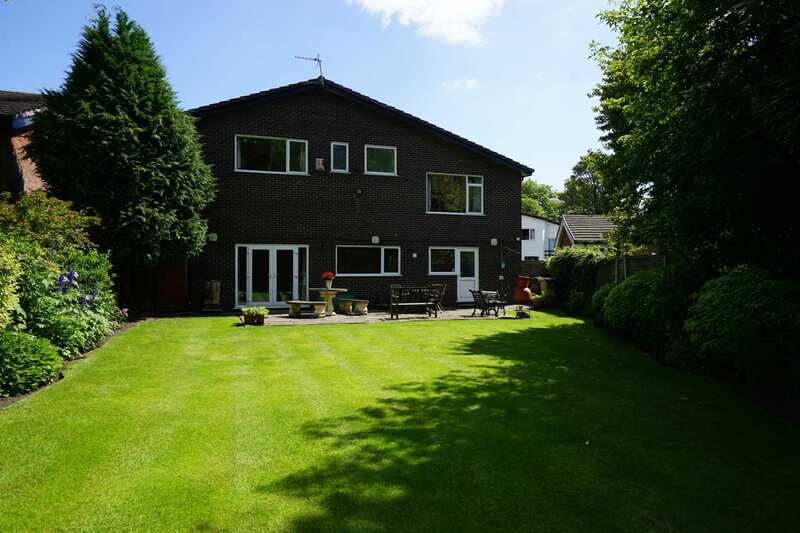 Benefiting from gas central heating and double glazing throughout this family home boasts spacious reception rooms and generous bedrooms throughout and comprises :- Entrance hall, w.c., bedroom 4 / large office, dining room, fitted kitchen, utility room and access to double garage. 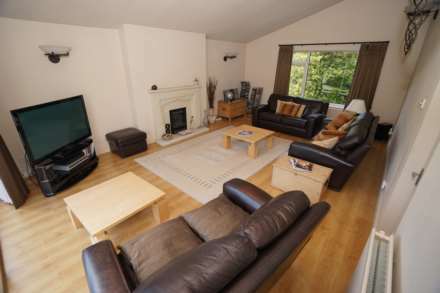 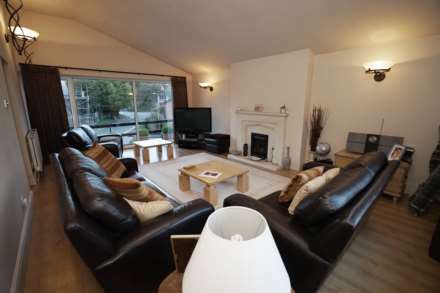 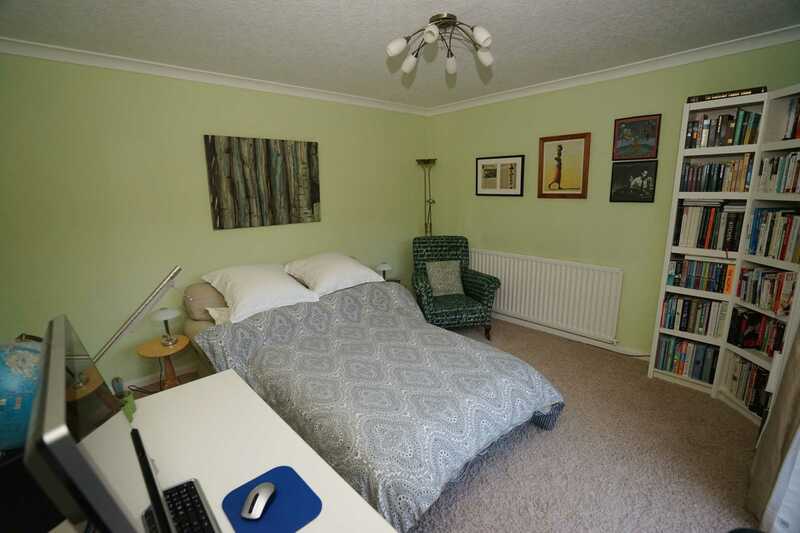 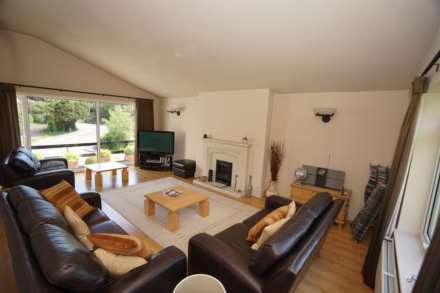 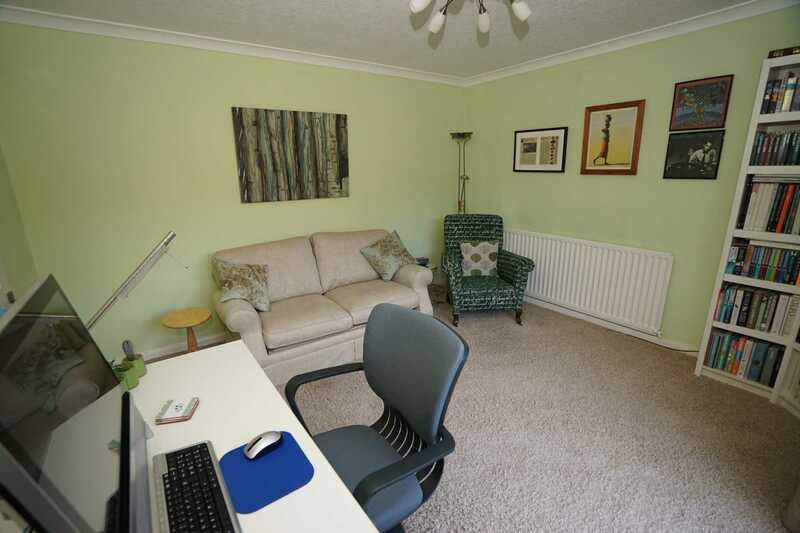 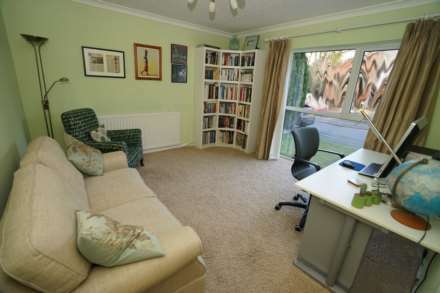 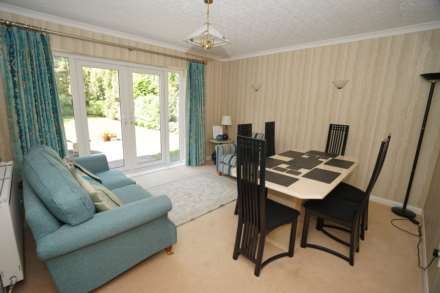 Accessed via a half landing there is a spacious lounge with feature vaulted ceiling. To the first floor there are three generous bedrooms all with fitted wardrobes and furniture the master having an en suite shower room. and a family bathroom fitted with a modern three piece white suite. 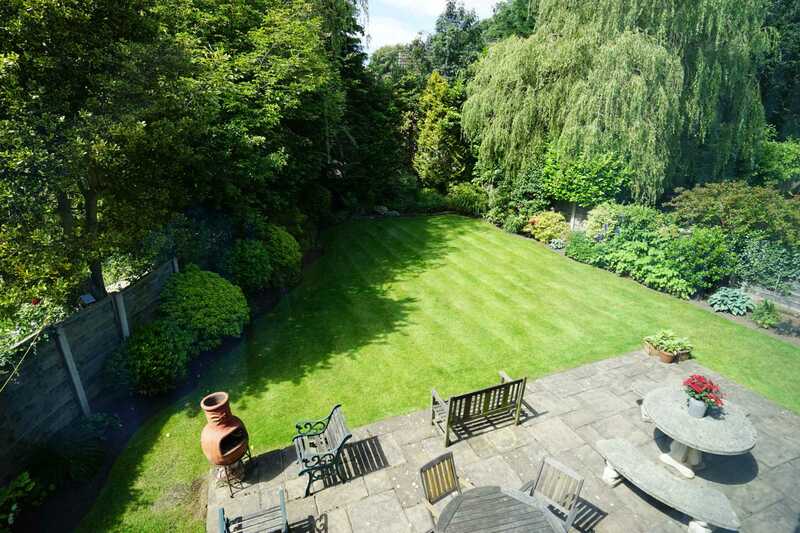 Outside there is an open plan garden to the front with driveway parking for 4 cars and private south west facing rear garden with large patio and lawned area. 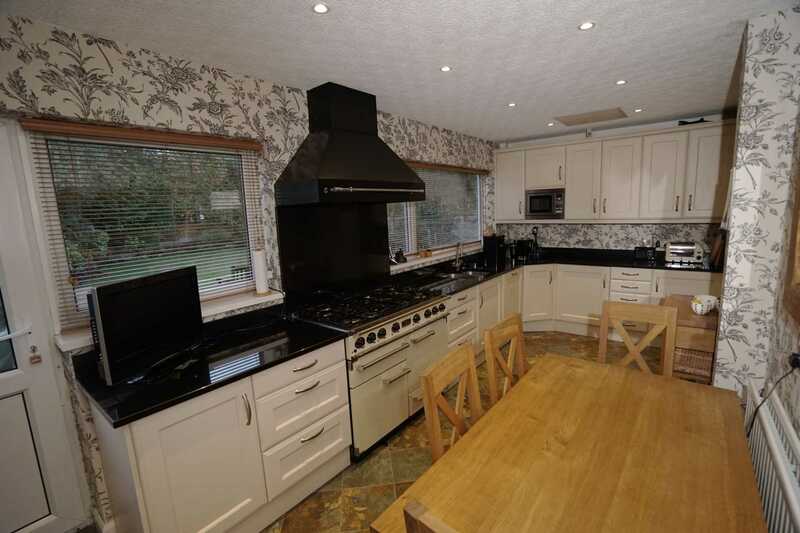 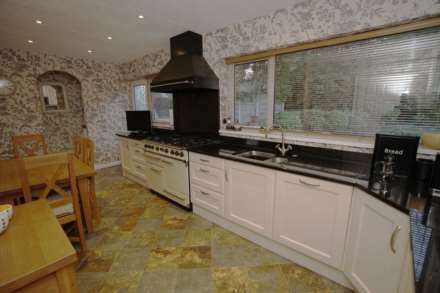 The property must be viewed to appreciate all on offer. 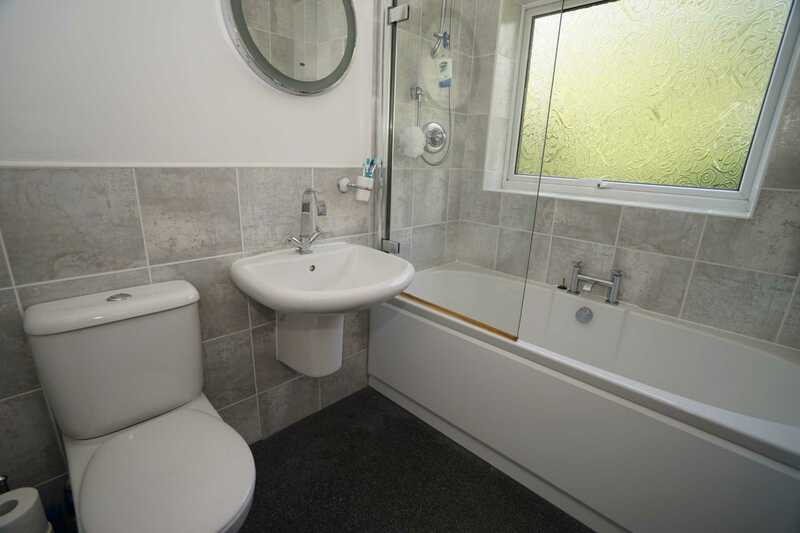 UPVC frosted double glazed window to side, fitted with two piece comprising, wall mounted wash hand basin with tiled splashback and low-level WC, radiator, oak flooring. Fitted with a matching range of cream base and eye level units with contrasting worktop space over, integrated fridge and freezer, plumbing for washing machine, space for tumble dryer. 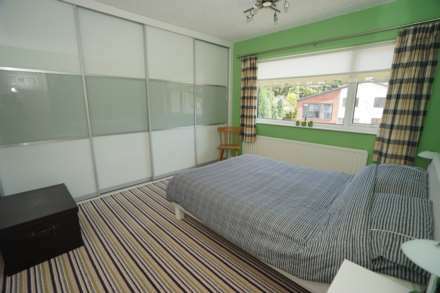 Double radiator, two wall lights, coving to ceiling, uPVC double glazed french doors to garden. Ranch style balustrade to front and side. Fitted with two piece modern white suite comprising inset wash hand basin in vanity unit with cupboards under and mixer tap and tiled double shower enclosure, full height ceramic tiling to all walls, heated towel rail, extractor fan, uPVC frosted double glazed window to rear, tiled flooring. 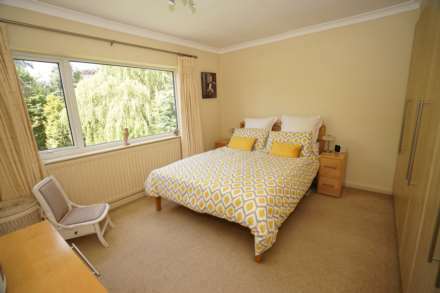 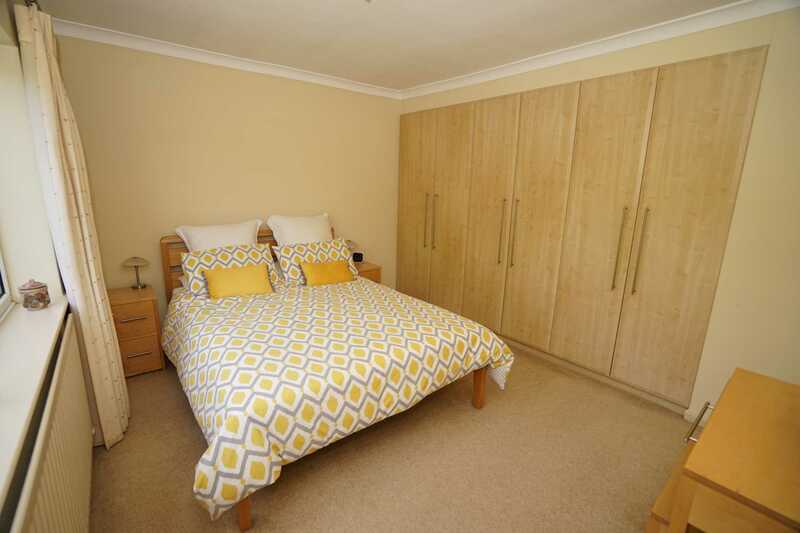 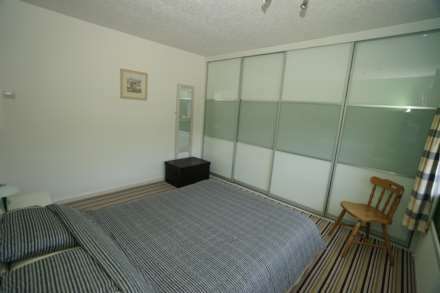 UPVC double glazed window to front, bedroom suite with a range of wardrobes comprising two fitted double with sliding door, hanging rails and overhead storage, radiator. 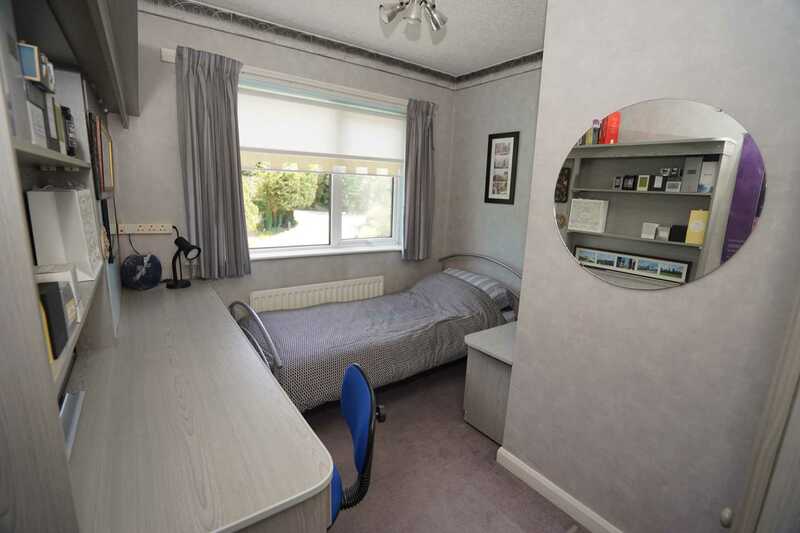 UPVC double glazed window to front, fitted bedroom suite with a range of wardrobes fitted double wardrobe(s), fitted matching drawers and desk, fitted worktop over with cupboards and drawers, shelving, radiator. Fitted with three piece modern white suite comprising deep panelled bath with shower over and glass screen, wall mounted wash hand basin with mixer tap and low-level WC, ceramic tiling to all walls, heated towel rail, extractor fan. 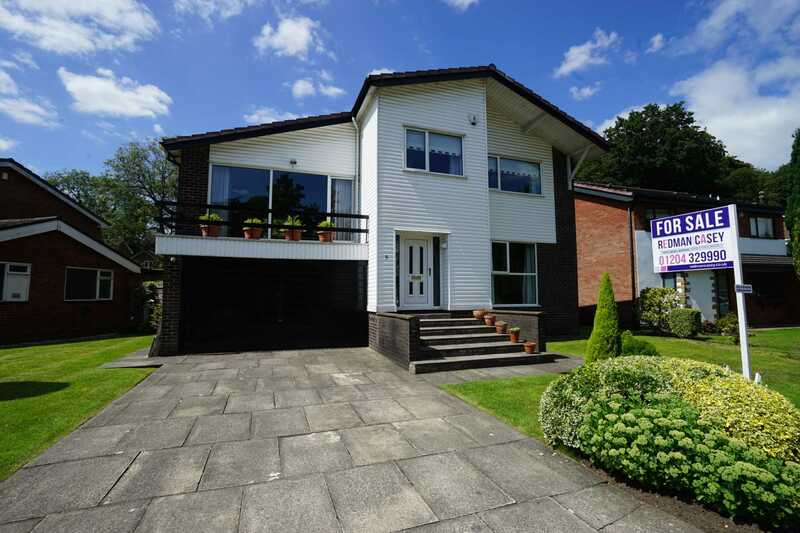 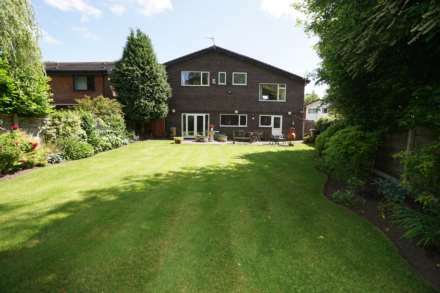 Open plan front garden, double width paved driveway to the front leading to garage and with car parking space for four cars with lawned area and mature flower and shrub borders. 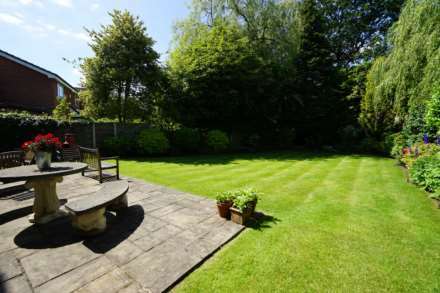 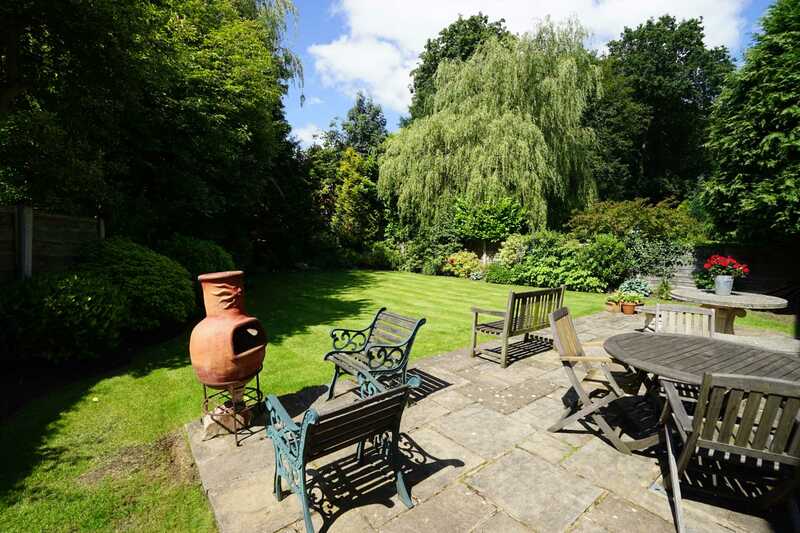 Private south west facing rear garden, enclosed by timber fencing and mature hedge to rear and sides, large paved sun patio with lawned area and mature flower and shrub borders. 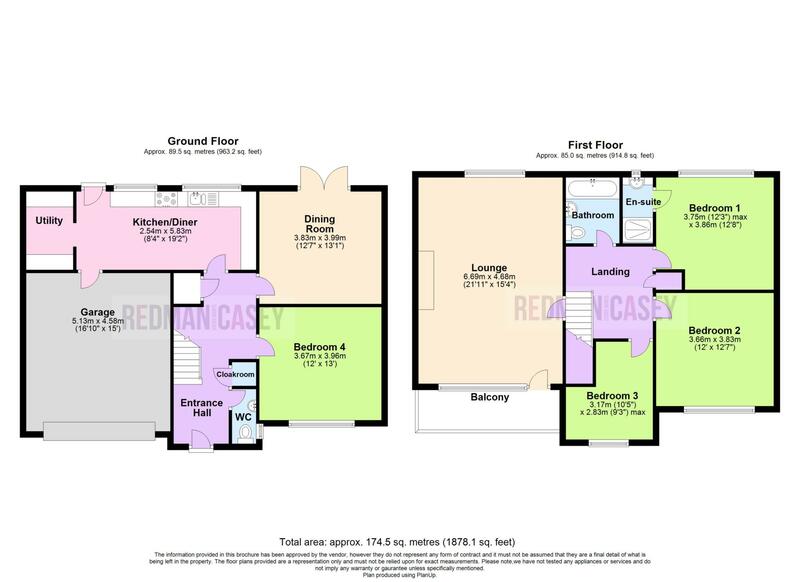 Integral double garage with power and light connected, wall mounted gas boiler serving heating system and domestic hot water, remote-controlled electric up and over door.